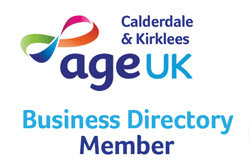 Clive Barwell is an independent financial advisor in Leeds who helps people in later life feel more in control of their current and future financial well-being. As one of the most experienced and qualified financial planners in the later life market today, Clive has chosen to specialise in advice and guidance for those at retirement and beyond. Whatever your particular financial concern may be, Clive can help. Although we all know that we should make a Will, it tends to be one of those things that we tend to put off. However, making a Will isn’t as time consuming or stressful as you might think and is important if you want to be sure that those you care about will benefit from your estate. Remember that if you die without having made a Will, your estate will be distributed according to law, running the very real risk that someone other those you want to benefit will benefit from your assets. Clive Barwell is a highly qualified, experienced later life financial advisor whose expertise covers Wills, trusts and powers of attorney. Clive will take time to understand your assets, who matters most to you and the provisions you like to leave to them. He will then offer advice on the best and most tax-efficient way to share out your estate. If you’ve already made a Will it’s important to remember that our circumstances can change, relationships evolve and different people come into and go out of our lives. With this in mind it is very important to periodically review your Will – especially if something significant happens – to ensure that it accurately reflects your wishes. Clive can help you review your Will, giving you the peace of mind that those who are most important to you will benefit when you die. Although making or reviewing your Will is an essential part of planning for the future, it’s important to consider what would happen if you, or another close relative were to become physically or mentally incapacitated. Long-term care can be the only option for some people and Clive will use his expertise to guide you through the range of Trust options available, finding solutions designed to give you, and your loved ones, peace of mind. Power of Attorney is completely separate from a Will and is designed to give someone else the power to make certain decisions on your behalf, should you no longer be able to do so. Different types of Power of Attorney are available, with options designed to cover financial decisions which might need to be made for you, or decisions which cover your medical treatment and care. 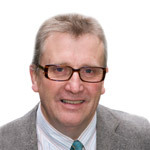 Clive Barwell has the expertise to guide you through the various Powers of Attorney which are available, finding a solution which is designed to suit your personal circumstances and your future requirements. Clive Barwell is a high-qualified, experienced later life financial advisor whose expertise covers all aspects of pre and post-retirement financial planning. Clive is an Accredited Member of the Society of Later Life Advisers and if you would like to find out more about how he can help you plan for your future and achieve your financial goals, why not get in touch with him on 0800 074 8755? The initial consultation process is at our expense, but fees are charged for the preparation of legal documents, financial advice, etc and full terms of business will be disclosed in writing prior to undertaking any chargeable work. The subject of Care Fees is both emotive and complex. Clive Barwell blogs to shed some light on this topic. Clive Barwell blogs to explore the financial options facing people in the lead up to and during retirement. Inheritance Tax is payable by different people in different circumstances. Here is advice on the subject. Generic financial planning advice is not regulated by the Financial Conduct Authority. The views expressed on this site are those of Clive Barwell personally and do not reflect the view of any company or organisation with which he is associated. Also, nothing in this site is intended to be, nor should be construed as being, advice to follow or desist from following a particular course of financial action. It is strongly recommended that professional financial advice is sought before embarking on any such course of action. Any request for regulated financial advice received through this site will be exclusively referred to Wren Sterling. Wren Sterling is a trading name of Wren Sterling Financial Planning Limited,, which is authorised and regulated by the Financial Conduct Authority. The Financial Services Register number is 665653. Registered office: Castle Marina Road, Castle Bridge Office Village, Nottingham NG7 1TN. Registered in England No. 09157918.